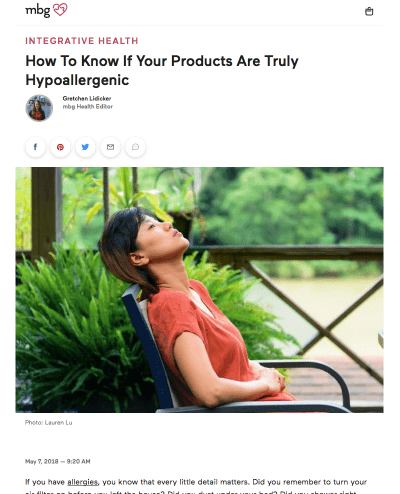 How to know if your products are truly hypoallergenic? Excellent article published by Gretchen Lidicker Mind Body and Green (Web Site) Health Editor on how to avoid exposure to allergens in our homes and what claims can consumers really trust to improve their indoor environment. Mind Body and Green is an amazing platform with various articles and videos focusing on wellness including mental, physical, spiritual and emotional wellness as well as environmental well-being.